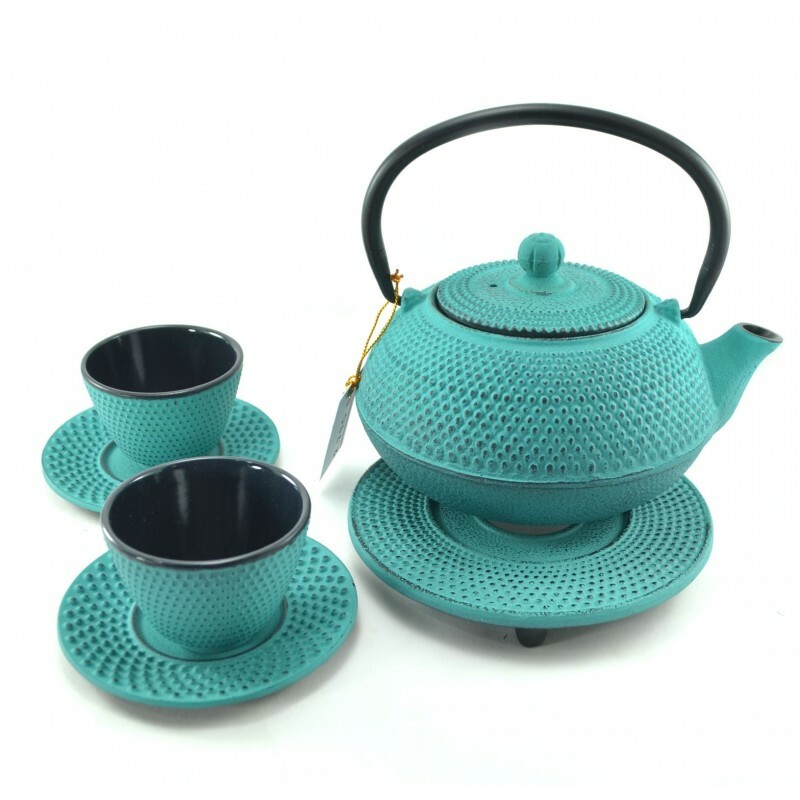 This superb and beautiful aquamarine cast iron tea kettle set comes with two cups and two saucers. It has a lovely hobnail type design infused into the cast iron body. 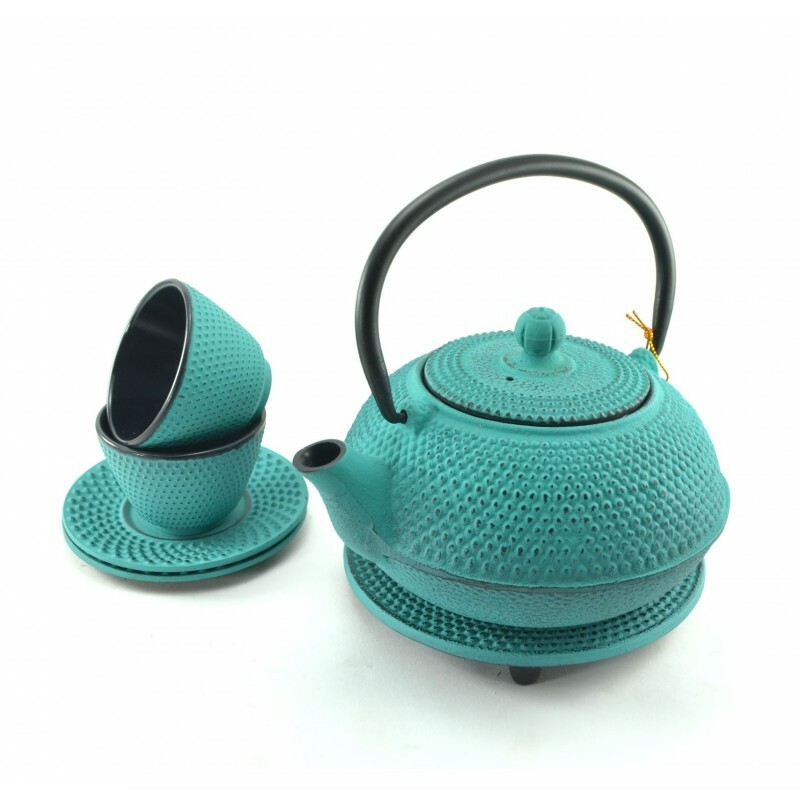 Cast iron kettles heat more evenly and are praised all over the world for their quality and style. This beautiful set will grace your table for years to come. By buying this product you can collect up to 279 loyalty points. Your cart will total 279 loyalty points that can be converted into a voucher of ฿ 83.70. Capacity of cup 50 ml or 1.7 Oz. 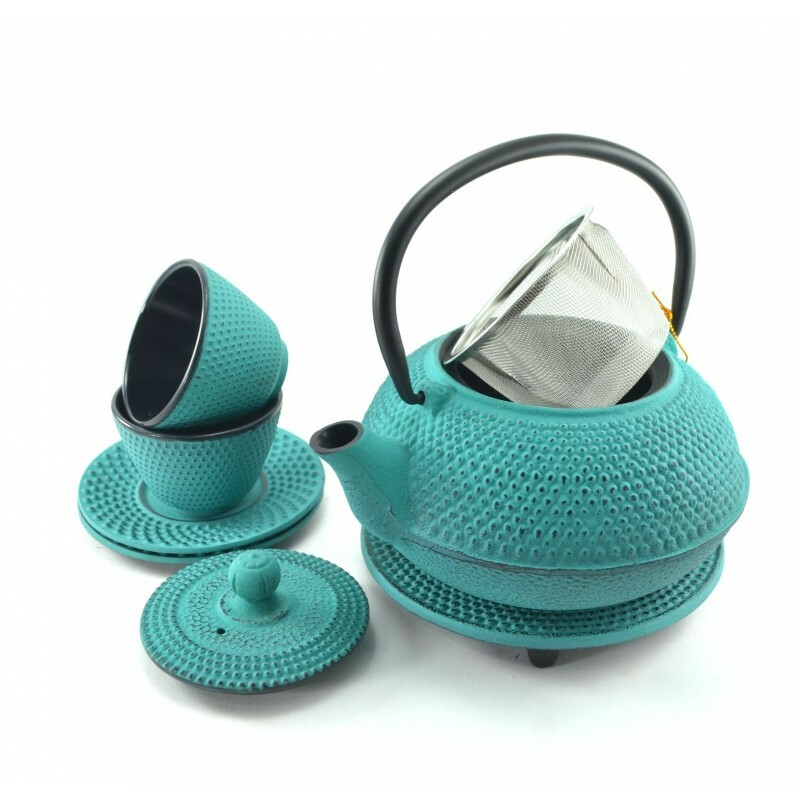 Capacity of Teapot 500 ml or 16.9 Oz.